Each year, the World Health Organisation (WHO) coordinates a global campaign to mark World Blood Donor Day (WBDD) as a reminder not only to participating countries, but also to each of us, as individuals, of the role we can play in supporting our local and national medical services. World Blood Donor Day 2017 focuses in particular on blood donation in emergencies and crisis situations. Given the nature of the industries Medilink serves, where trauma injuries may require immediate blood transfusions, we encourage our clients and their staff to mark World Blood Donor Day 2017 by attending any local voluntary blood donations units nearby to their place of work. Our local health clinics can advise also on where to attend blood donation units, both mobile and at hospitals, in the countries in which we operate. According to the WHO, in the past decade alone, disasters have caused more than 1 million deaths, with more than 250 million people being affected by emergencies every year. 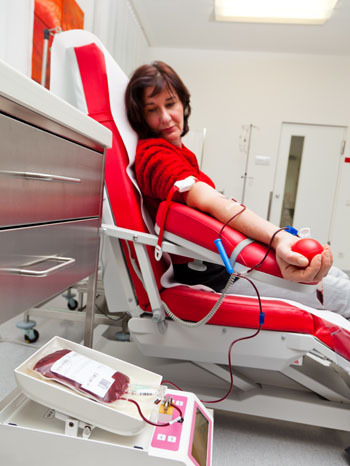 From natural disasters such as earthquakes, floods and storms, which can also destroy vital health facilities, to man-made disasters such as road accidents and armed conflicts, there is incredible pressure on front-line treatment, prime among which is a supply of safe blood. Given the almost daily news of such incidents around the globe, many of us may feel at a loss as to how to assist. This year’s World Blood Donor campaign, with its slogan – ‘What can you do? Give blood. Give now. Give often‘ – highlights poignantly just how we can respond and play our part when such events occur. The subtext of this year’s World Blood Donor Day is that giving blood is a simple, routine act we can factor into our lives yet one that has life-saving implications. Blood can be stored only for a limited time, hence the need for constant, fresh supplies. This requires a regular stream of healthy people to come forward to donate to ensure there is sufficient stock available in emergency situations. Blood donation is ultimately one of the most precious gifts we can give to another person. Blood can save lives in numerous and less obvious ways too; it can be divided into its constituent parts – red cells, platelets and plasma – which can go to treating specific conditions. Another important aspect of blood donation that the WHO is keen to promote is the goal of achieving 100 per cent voluntary blood donation. The WHO states: “Ensuring safe and sufficient blood supplies requires the development of a nationally-coordinated blood transfusion service based on voluntary, non-remunerated blood donations”. However, it acknowledges that in many parts of the world, blood services face immense challenges in making sufficient, safe, quality blood supplies available. For more information on mobile blood donation sessions at our clinics, just contact us. For more on the criteria required to give blood, see our news post here, and consult the World Health Organisation’s information here.